ride share to the farmers market? Three in a row! (I was driving one of them). All in the permit-only parking. Was pretty cool except I recognized all three cars – I think they were from my neighborhood. It [would] be really cool to have a way to connect with other Modo members to share rides. Alyssa isn’t the only member to express interest in Modo ride-sharing. In fact, it’s something we hear often. And we’re all ears for new ideas on how to empower members to reach out to one another to share rides. The upsides are plenty: save money and gas, reduce emissions, and make friends! To share your ideas for how we can expand and grow sharing among our membership, drop us a line: info@modo.coop (Subject: “Sharing” ideas). As part of our mission to support members in accessing locally grown food and contributing to a vibrant local economy, Modo is proud to sponsor Vancouver Farmers Markets! TEAM MODO wins best in class! We're super psyched to announce the addition of another new all-electric Nissan LEAF to our fleet! Find it in its new home at the Rise development at Cambie and 8th Avenue. If you've never driven a LEAF, please review our handy how-to (with photos) at www.modo.coop/leaf. 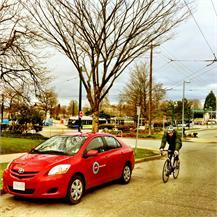 Book Vehicle #408 – RIZE, 7th & Yukon via Engage. Wow! 2012 is almost over already, which means passes for the 2013 Translink Employer Pass Program (EPP) will be arriving at our office for pickup in mid- to late December. No need to call or drop by until you've received a direct message from Member Care announcing your pass is ready for pickup. 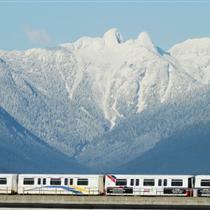 As you've likely already heard, Translink announced a 10% fare increase effective Jan 1, 2013. Yeah, total bummer, but, heck, transit's still cheaper than owning a car! Big thanks to Modo Member Care extraordinaire and EPP liaison David, who has updated the information, pricing and forms regarding the program on our website. As this is a busy time of year for David, please refer there first before reaching out with additional questions. Modo fleet manager Kelvin Stokes has very kindly put together updated lists of all our vehicles with snow tires and all our vehicles with all-wheel drive: Modo vehicles with snow tires and all-wheel drive. Note: You can also search for vehicles with these features via Engage under “New Booking”. Click the “Search All Cars” button and then select “snow tires” and/or “all wheel drive” under “Required Features”. By official proclamation, the City of Vancouver is naming Dec 3-9 Buy Local Week to focus residents' attention on the importance of buying local and its impact to the economic and social vitality of our bustling region. 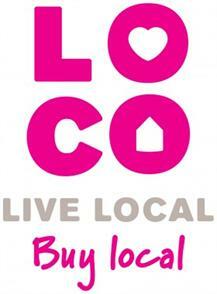 Modo member LOCO BC is celebrating the occasion with its Live Local Buy Local campaign to raise awareness of the many ways we can all support local shops, artists and craftspeople: "Buying local is a simple choice that we can all make everyday to have a huge affect on our economy and community. If we shift just 10% of our household spending to local businesses, we can create $4.5 billion in local economic activity." Check out LOCO BC's calendar of local holiday markets and events and stay tuned for LOCO BC's upcoming Buy Local video featuring three downtown businesses, including... Modo! Need to extend your booking to 12:00 a.m. or past? Remember to change the end date as well as the end time! Engage doesn't automatically understand that you're asking about tomorrow. This is the time of year when members start using Modo cars for transporting Christmas trees – which in the past, has often left vehicles in quite a mess. Sometimes the needles are very difficult for me to remove. The number one best way to haul a Christmas tree is to book a pickup truck or cargo van (which, incidentally, get the least utilization by members during colder months). If using a cargo van, be sure to lay down a drop cloth or bedsheet first. Happy holidays and thanks so much! We'd love to hear your story of how a pickup truck or cargo van helped you get your evergreen home this holiday season! Snap a pic and post, tweet or email it with a blurb about the experience, and be entered to win a $20 carsharing credit. Winning entries will be appear in an upcoming Multi-Modo newsletter. That's the date of Modo's upcoming Annual General Meeting. In addition to celebrating Modo's year-end numbers, shareholders (a.k.a. Co-op members) will also be voting for two new directors to join our board. Interested in running for Modo's Board of Directors? Click for info and the nomination form. Nominee biographies will be available through our online booking site, Engage, on January 23 for review by shareholding members. We're also planning a fun post-AGM party to celebrate a phenomenal year of sharing! And we're looking for members who want to help us plan it. Think eating, drinking, music and LOTS of sharing. To volunteer, email Modo marketing director Hilary at hilary@modo.coop. Stay tuned for details about the AGM and after-party! Heading over the Port Mann or Golden Ears Bridge? Modo vehicles are now conveniently registered for TReO tolling, which means you won't pay the bridge toll until it hits your invoice. Easy-peasy, right? Great news, Bike To Work Week cyclists: TEAM MODO won "Best Workplace (size 26-100) By Number of Trips"! Hi5s! Our team logged 1,929.23 kilometres during Autumn Bike to Work Week, reducing the region's vehicle emissions and increasing our coolness quotient. Thanks to all who participated – you braved some of the ugliest, soggiest weather of the season. We hope the challenge inspires you to cycle all year round! Stay tuned to HUB for announcements about the next Bike To Work Week, May 27–Jun 2, 2013! Also, consider supporting HUB's cycling advocacy and education work by becoming a member – the perks are great and so is the community. Modo's favourite eco-friendly social enterprise car cleaning service, Keeners Car Wash, has been chosen as one of 15 video finalists in BC Hydro’s Community Champions award program. Five winners will each receive $10,000 – and Keeners needs our support by voting daily through Dec 7. Watch their video entry to learn more about this exciting, sustainability oriented social enterprise and how the BC Hydro Community Champions prize money will help further Keeners’s work. A vote for Keeners is a vote for youth development and water conservation: Click to vote! Cheesemaker David Asher Rotsztain teaches this hands-on workshop on three basic styles of cheese: paneer, yogurt cheese and camembert. Emphasizing ‘natural cheesemaking’, the workshop will focus on simple, DIY methods that are well suited to the home kitchen. David will also discuss the topics of raw milk, rennet-free cheeses and dairy ferments. At the end of the workshop, participants will feast on the freshly made cheeses! 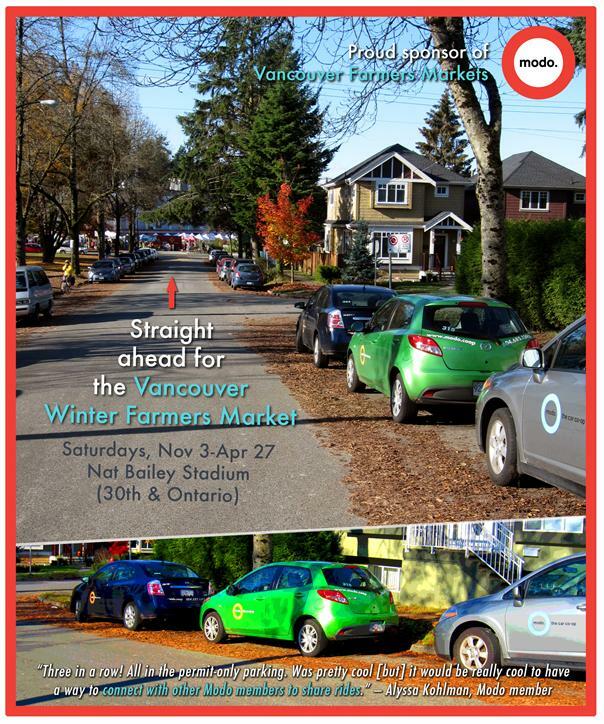 Find details at the Village Vancouver events page. A one-day showcase of the art and performances by those who choose to live, work and play in New Westminster. Connecting people of diverse backgrounds to a variety art forms around the theme of "Embodied," the event aims to expand the community and network of young (and young-at-heart) like-minded individuals living and working in New West. Located upstairs at the River Market at Westminster Quay in New Westminster. Know Future is a celebration and investigation of the outliers of documentary form that will incorporate projection, 3D design, and transmedia interactive platforms. A brave new world of film, food and futurism Know Future will also feature a short screening, guest speaker, silent and live auctions with vacation packages, restaurant gift certificates, fashion, artwork, weekend getaways and tickets to great cultural events for guests to bid on. There's even a Modo prize! Funds raised will go towards 2013 festival programming, including DOXA’s special free screenings, our Justice Forum and our youth educational programs. Modo is a proud sponsor of the December edition of this wildly popular lecture series. Every month, the city's creative community bonds over free eats and free inspiration - with a different speaker sharing their story of using creativity in their work and life. Vancouver Mayor Gregor Robertson will speak on how he's used creativity in his work as a farmer, entrepreneur and public servant. The lottery for 150 tickets opens at 11am on Dec 3 (tickets distributed on Dec 4). Don't miss this inspiring talk on creativity over bottomless cups of Salt Spring Coffee and W2 Media Cafe's incredible breakfast spread of homemade frittata, pastries, granola and more! QMUNITY once again hosts its fantastic free afternoon of fun and community at the Lions Den in East Vancouver. Bring family and friends from 3-6:30pm for entertainment, food and drink, children's activities, crafts and games, and more! This will be a day packed with fun for queer and trans folk and allies of all ages, and a celebration of an amazing community. For more information: education@qmunity.ca, 604-684-5307 x112 or Facebook. Modo is proud to sponsor this ever-popular annual craft fair. This year the event has expanded, finding its way to the Croatian Cultural Centre over two days, from 10-5pm. Shop from more than 80 handmade vendors; join the DIY workshops, including letterpress with Sam Bradd, embroidery with Leanne Prain; button-making with Yelp, and the Spool of Thread sewing lounge. Get in line early for a chance at one of 50 swag bags - filled with handmade items and gift certificates from Got Craft? vendors - for the first 50 people through the door on each day. Get a sneak peak on the vendor: Got Craft? Holiday 2012 Look Book. Join the 17th annual Holiday Market, a celebration of food and art with more than 80 vendors selling everything from handmade pottery, glassware and wood craft to homebaked cookies, bread and treats. Located at the Croatian Cultural Centre, the show has everything for the host or the party-goer and something unique for everyone on your Christmas list! Free coat check, door prize draw for members and a silent auction for beautiful gift baskets of goodies donated by our vendors. Admission is $3; starting Dec 1, you can download a coupon for $1 off. Shop at Ten Thousand Villages at 1204 Commercial Dr. from 10am to 8pm, when partial proceeds from all sales will be donated to the Vancouver Tool Library, a co-operative tool-lending library that offers workshops as well. Do your last-minute holiday shopping while supporting a local organization and fair-trade artisans around the world! Vehicle #414, a 2012 green Mazda 2 hatch, has replaced #137, a 2002 yellow Mazda Protege5. Vehicle #373, a 2012 green Toyota Matrix, has replaced #296, a 2011 green Toyota Matrix. After an accident several months ago, the second vehicle at Woodward's has been replaced with vehicle #412, a new 2012 white Mazda 2 hatch. Vehicle #415, a 2012 blue Mazda 2 hatch, has replaced #104, a 2002 white Honda Civic (our last car with a 2002 model year!). Vehicle #411, a 2012 white Dodge Grand Caravan has replaced #279, a 2009 red Dodge Grand Caravan. Vehicle #391, a 2012 orange Toyota Prius C, is now available for booking from our new location near 30th & Ontario. 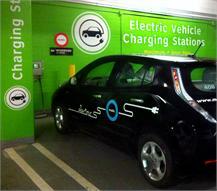 Say hello to Modo's third electric car! Vehicle #408, a 2011 black Nissan Leaf, is now available for booking from its new home in the parking garage of the Rize development at 7th & Yukon. Vehicle #417, a 2013 blue Nissan Sentra, has replaced #89, a 2005 white Pontiac Vibe. Vehicle #413, a 2012 orange Toyota Prius C, is currently floating at Main Street SkyTrain. Vehicle #416, a 2013 red Nissan Sentra, has replaced #140, a 2006 blue Toyota Corolla. Our first car with a 2013 model year! Vehicle #407, a 2012 red Honda Civic, has replaced #169, a 2007 grey Hyundai Sonata. Vehicle #233, a 2007 red Dodge Caravan, was swapped with #130, a 2007 silver Dodge Caravan. Vehicle #145, a 2006 grey Toyota Matrix, is now available for booking from its new location near Kingsway and Boundary. Vehicle #279, a 2009 red Dodge Grand Caravan has replaced #233, a 2007 red Dodge Caravan. Vehicle #296, a 2011 green Toyota Matrix with all-wheel drive, has replaced #145, a 2006 grey Toyota Matrix. We moved our location at NW - Quantum one block east and renamed it NW - Columbia SkyTrain. Find the vehicle #400, a 2012 blue Toyota Matrix hatch, at its new home, on the street right next to the Fourth Street entrance to Columbia SkyTrain.